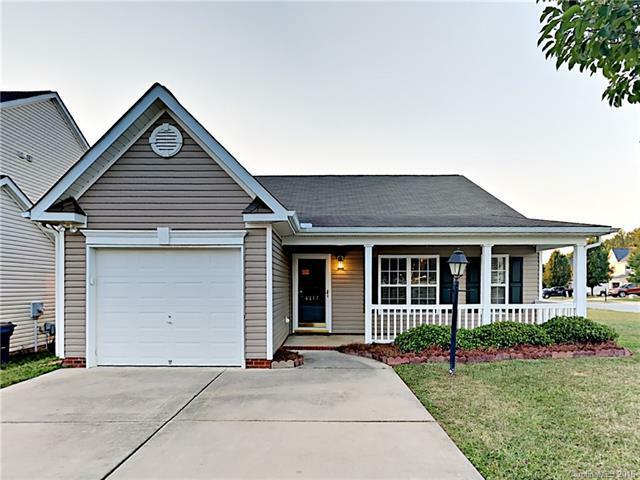 4117 Youngstown Drive, Greensboro, NC 27405 (#3413918) :: Robert Greene Real Estate, Inc.
Well kept 3BR/2BA home, boasting fresh two tone interior paint, vaulted ceilings and laminate wood flooring in common living areas. Door opens to foyer leading to living room adjacent to eat in kitchen with warm stained cabinets and black appliances. Master bedroom is spacious and showcases attached private en suite bathroom with tub/shower combo. Additional bedrooms are ample in size. Home complete with patio slab overlooking grassy backyard!